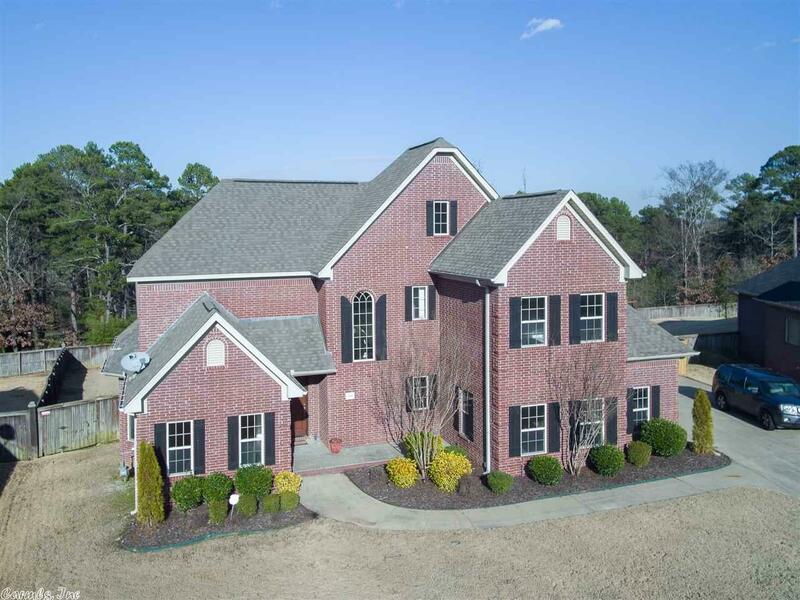 JUST RENOVATED all brick home, 4 bed/3.5 bath, master on main level, HUGE half acre lot backs up to greenspace! Open plan is versatile & perfect for gatherings. Kitchen overlooks living & has newly painted white cabinets, SS appliances, double ovens and gas cooktop. All new hardwoods and carpet throughout, new quartz countertops/backsplash in kitchen & MSTR bath, new fresh neutral paint throughout, all new ceiling fans & mostly new light fixtures, new garage doors & tile on large patio overlooking backyard.